As my days get more and more hectic I appreciate those games my phone can run more and more. My latest phone obsession is the Knights of Pen and Paper. Knights does something I’ve never seen before, you’re playing a group of people sitting at a table and roleplaying. The concept enough was enough for me to want to check it out. You start out with one Dungeon Master and two players. You get to pick who your players are and what character they get to play. Each player choice comes with a special ability, things like the Jock having more hit points then other players. The class determines what gear and powers the character has. 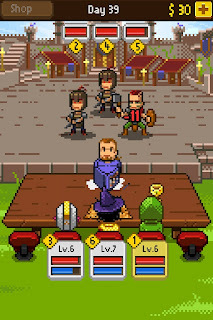 When you tap the DM you get a number of options; things like start battles, camp, shop, or start a mission. Doing the missions marked with a star will advance the story line in the game. 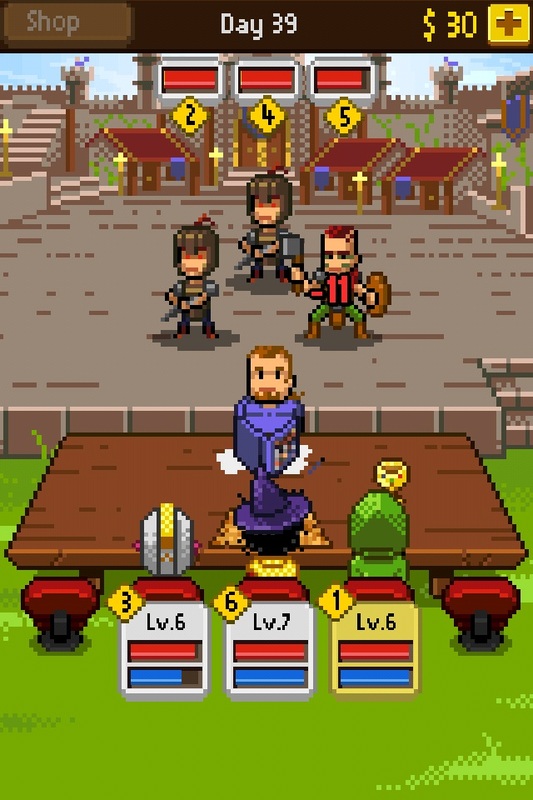 As your group defeats creatures and complete missions they’ll earn money. Money can be spent on things for the characters or on things for the character group. So do you spend your money on a new sword for your warrior or do you buy that dragon statue for the DM’s table that will increase the attack bonus for the whole party? You’ll also need to save some money to purchase more players for your table. 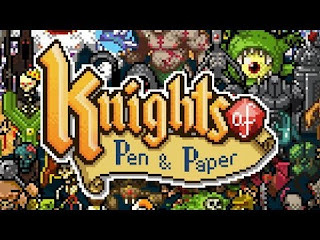 Knights of Pen and Paper will cost you two dollars on the IOS or Android systems. Looks fun! I'm going to have a lot of free time on my hands for the next few weeks and this will be an excellent way to spend it.